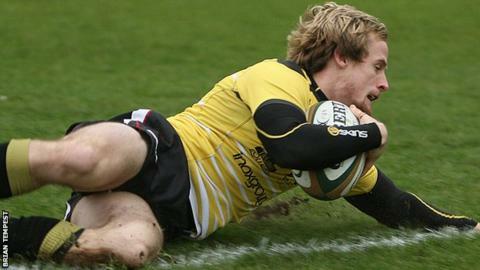 Cornish Pirates boss Ian Davies says winger Jack Arnott has benefited from the chances his side has given him. The 22-year-old is on loan to the club from Premiership neighbours Exeter Chiefs, having been dual-registered with Plymouth Albion last season. "He's in a rich vein of form at the moment," Davies told BBC Cornwall. "He's scored a number of tries and it's been pleasing to see because he was always a threat when he played against us at Plymouth." Arnott has scored five tries in his last five games for the Pirates, while he managed to cross the try-line just once while at Plymouth last season as they got relegated from the Championship. "Maybe he didn't get as many opportunities as we've given him to score and he's taking those chances at the moment," Davies added.